Travel bloggers might take for granted their home base and not think to write about the place in which they are most familiar. 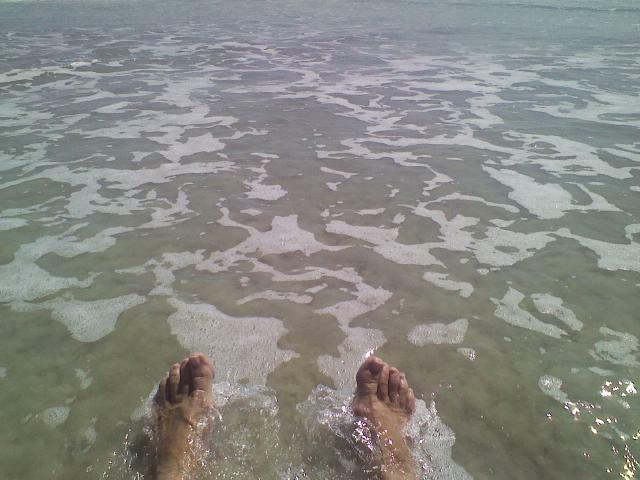 It occurred to me this morning, while walking the beach, that writing about European travels is exciting but I would be remiss to ignore the jewel that is New Smyrna Beach, my current hometown. In my case, the beach is just a block away and there are times when we get wrapped up in the minutiae of life and forget it is there. A brief walk, with toes in the sand, can take away stress and make one realize how small our concerns might be compared to the expanse of the Atlantic Ocean and our place on the planet. An Orlando friend once told me that whenever she drives over the bridge onto the island, she is overcome with a sense of calmness and relief, leaving all the city craziness back on the mainland. Our little town is still relatively unknown, except for its unnerving distinction of being the “Sharkbite Capital of the World”. We’ll just forget about that for the moment while other, more palatable aspects of our town are described. We have two bridges from which to enter the barrier island. If you are in a hurry to get to your destination, the South Bridge, as we call it, will whisk you from State Road 44 to Atlantic Avenue, heading south towards the Cape Canaveral National Seashore. Along the way you will see neighborhoods and condominiums, a lot of which are owned by our neighbors to the west in Orlando. 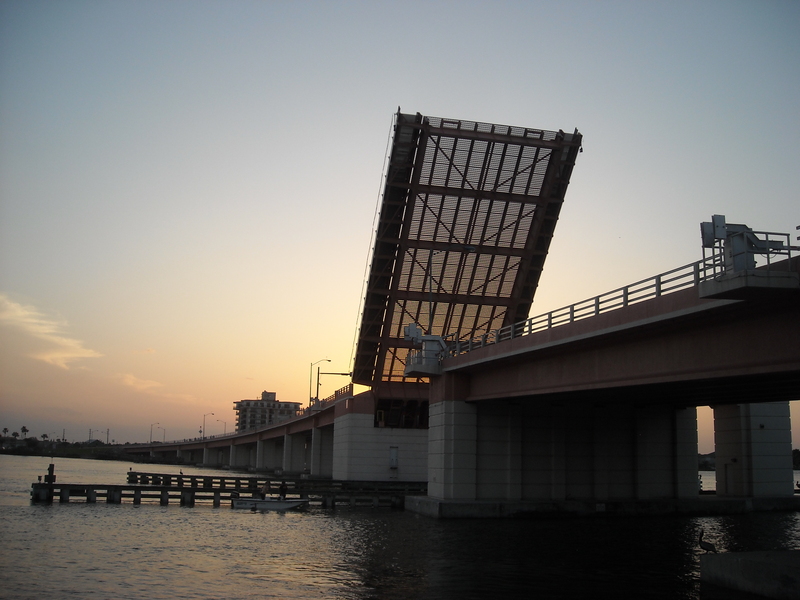 My preferred route is to the north, a bascule bridge spanning the Indian River. It is a favorite walk-over for guaranteed sightings of dolphins and the occasional manatee along with kayaks, sailboats and mini-yachts, the latter causing the bridge to rise three times each hour. If you are caught in your car at the time a tall boat is cruising through, it is a good time to lower the windows, turn off the engine and just relax and enjoy the salt air. 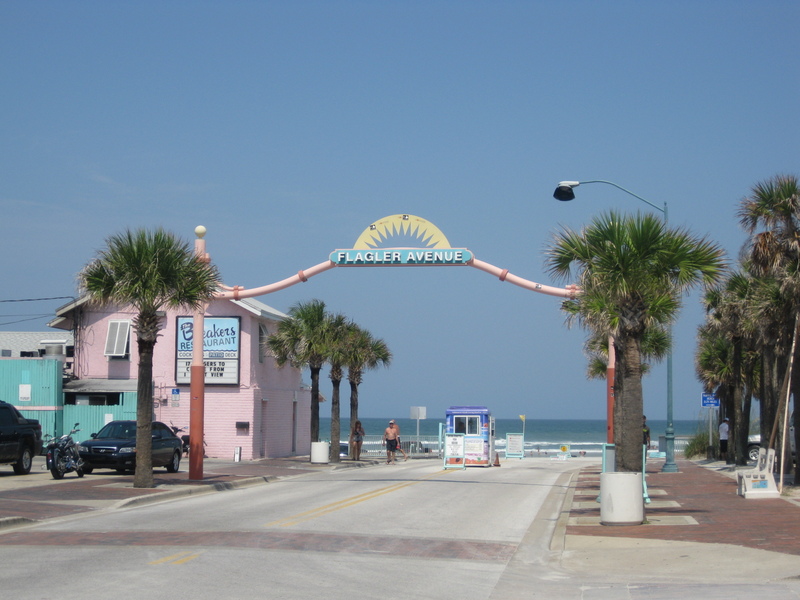 Once over the north bridge, you are on Flagler Avenue, a funky main street dotted with restaurants, boutiques, art galleries and lodging. And, if you are visiting at the right time, you can enjoy the monthly wine and art walk. You might also notice a banner spanning the street announcing whichever monthly event will close the street to auto traffic and allow revelers to meander the avenue for celebrations of Cinco de Mayo, Flamingo Follies or numerous food events, coupled with live music and dancing in the streets. 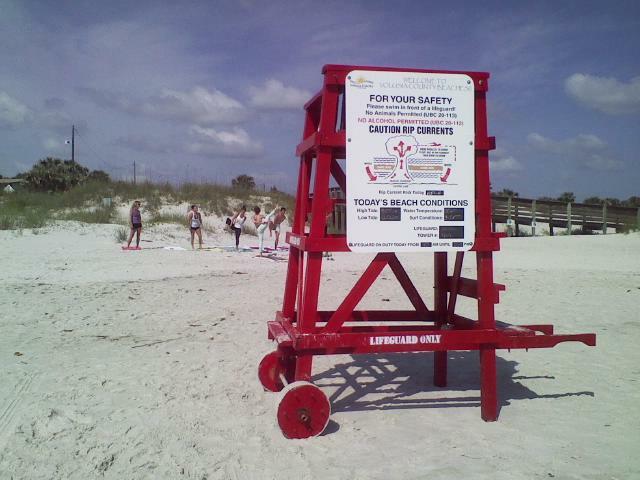 The residents of New Smyrna do not need a reason to party! Currently a movie is being filmed in town causing some roadblocks, but how can one be upset when the ambience of the city lends itself to being laid back and carefree. The film, “Waves of Grace” is centered on a surfing community and sightings of the crew shooting scenes in various areas of town is common. 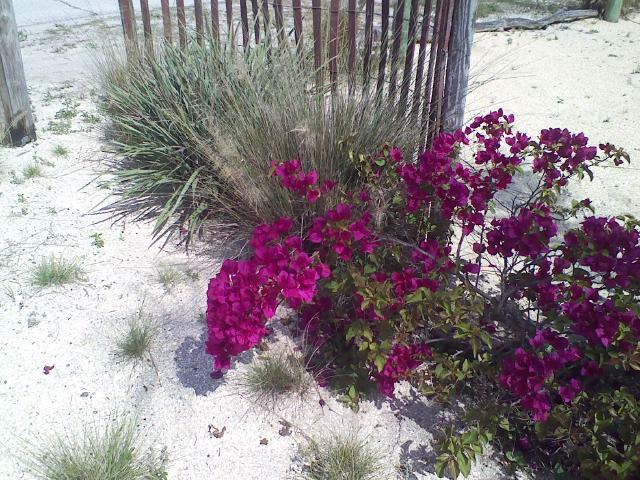 They are based at our favorite bed and breakfast, the Black Dolphin Inn, located on the west side of the Indian River. This new B&B just got named in the Top Ten Bed & Breakfast Inns by The Guardian, a British national daily newspaper and is a wonderfully stylish asset to our town. The beaches are great for body, board and kite surfing, and provide family fun all year round, offering thirteen miles of flat, sandy shore. 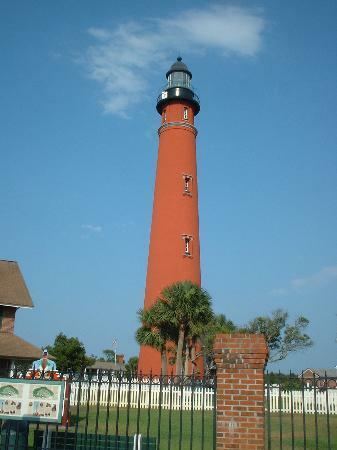 A couple of miles to the north you will find the jetties across from the Ponce Inlet lighthouse which shines its welcome each night. You are also at the spot where New Smyrna Beach gets its infamous reputation as the aforementioned Sharkbite Capital of the World. Surfers love this area which provides the biggest waves against the rocks jutting out into the ocean. Small sharks also love this spot as a perfect feeding place full of bait fish and the occasional ankle. Intrepid surfers sometimes bump into a feeding shark and might require stitches when their dangling foot is mistaken as that day’s dinner. With Orlando to the west and Daytona Beach to the north, there is no shortage of entertainment in central Florida. 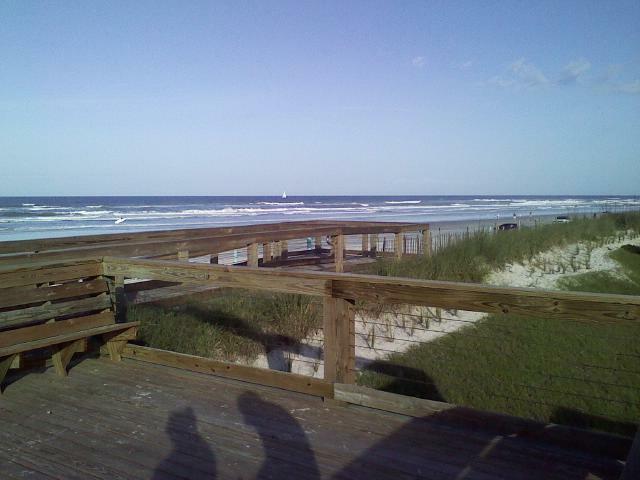 However, it is always nice to retreat to the tiny town of New Smyrna Beach to refresh, renew and relax. This entry was posted in Uncategorized and tagged B&B, bascule, beach, Black Dolphin Inn, Bridge, Cape Canaveral National Seashore, Daytona, Guardian, Indian River, lighthouse, New Smyrna Beach, Orlando, Ponce Inlet, river, sharkbite, travel, Waves of Grace. Bookmark the permalink. I absolutely love your description of our wonderful town!